My life would never be the same again. It wasn’t just that he had given me the chance to act it so many of his films, but also the fact that what I had got from my relationship of thirty-five years with him was no different from what I got from my parents or my life, into the development of my character, and will remain with me till I die. 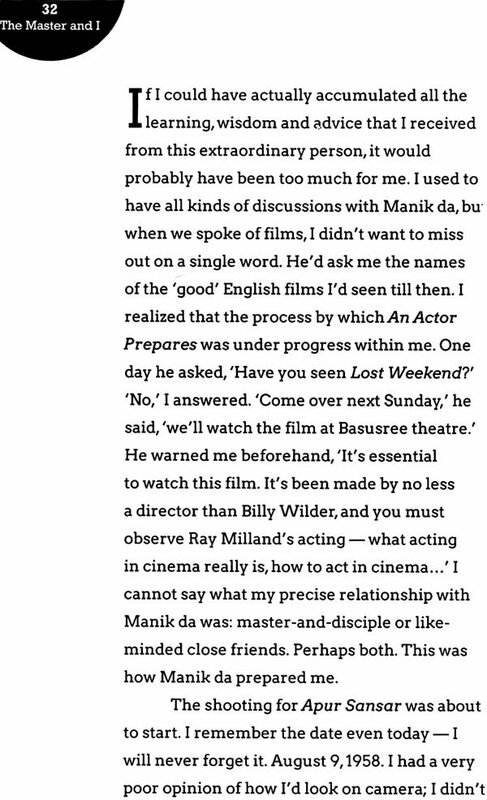 The definition of real Romanticism that we’re all aware of, the famous ‘Renaissance of wonder’ - Manik da had the rare ability to feel this same sense of wonder the way child does, as though seeing everything for the first time. What would an artist be left with if he lost his sense of wonder? 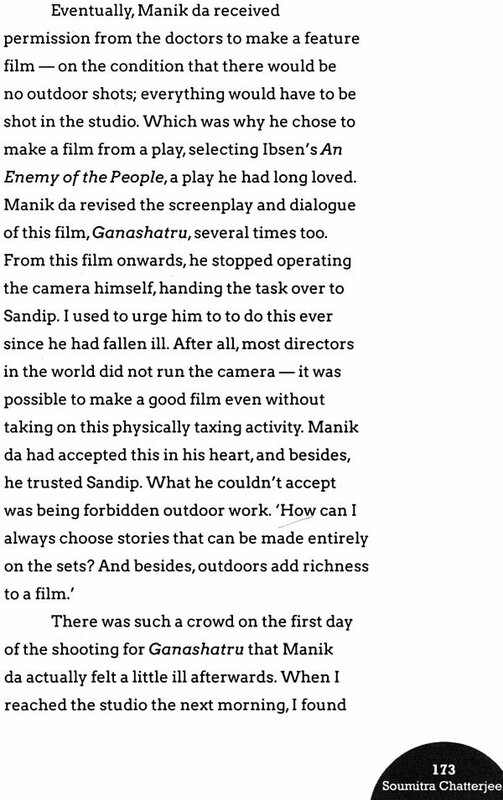 Manik de retained this ability till the last day of his life. It was because of this he remained fresh all the way, his work never becoming jaded. For 35 years, Bengal’s most accomplished actor Soumitra Chatterjee was a constant presence in the artistic and personal life of India’s foremost film director Satyajit Ray. Not only did he act in 14 of the maestro’s films, he was also the film-maker’s most faithful student and one of his closest friends. Soumitra Chatterjee tells the stories of his life with Satyajit Ray, recounting his experiences on and off the sets, revealing unknown facts, and offering intimate glimpses into his relationship with the film-maker he revers. 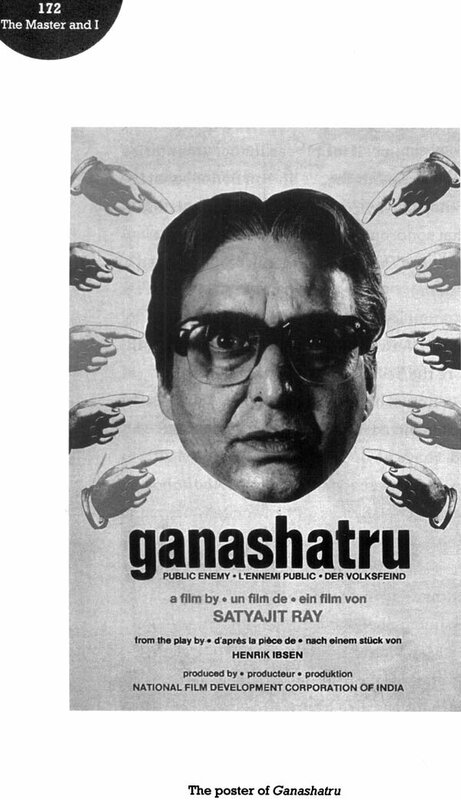 As much about Ray as it is about Chatterjee, this is a unique artistic as well as personal journey along the path walked by the director and his most beloved actor. Soumitra Chatterjee is the finest actor of modern Bengali cinema, an illustrious stage actor, and the winner of numerous awards, including the Dadasaheb Phalke Award (2012), India’s highest award for cinema. Arunava Sinha translates classic, modern and contemporary Bengali fiction, non-fiction and poetry into English. Soumitra Chatterjee’s The Master and I is a discerning read replete with valuable insights and interesting anecdotes. Soumitra is a brilliant actor of our times and a treasured friend. 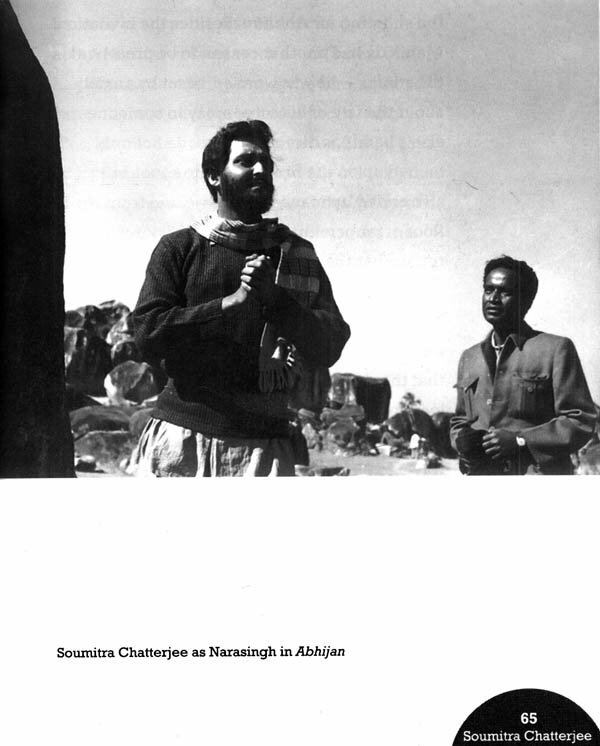 Our association began in 1958 when both of us debuted in Apur Sansar directed by Satyajit Ray. 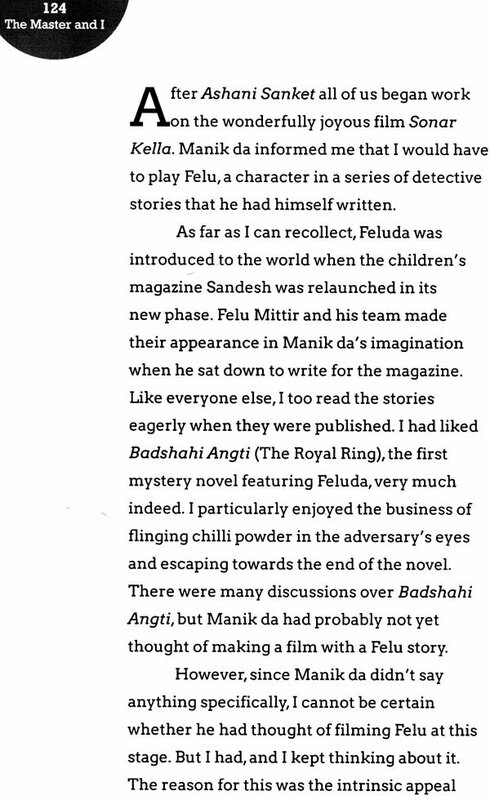 In this book, Soumitra tell us what Manik da meant to him and how this association shaped him as an actor as well as a person. It was as if Soumitra was his alter ego. The Master and I celebrates this long and rewarding relation between the actor his mentor, both in personal and professional spheres. And we see the similarities between the two: like Ray, Soumitra is not just propelled by commerce. Eternally childlike and hopelessly romantic at heart, like Ray, he is also a multifaceted talent. This 35-years partnership has given us many memorable films like Apur Sansar, Devi, Charulata, Aranyer Din Ratri and Ghare-Baire. Arunava Sinha needs to be complimented for an effortless translation, I can almost hear Soumitra speak. The Master and I is a remarkable rendition of the relationship between a man and his muse and a must-read for anyone who wants an insight into one the greatest collaborations in cinematic history.